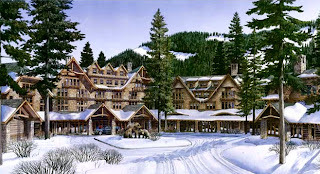 Tahoe Truckee Outdoor: Homewood Resort expansion project blocked by court. Homewood Resort expansion project blocked by court. The aging Homewood Mountain Resort has plans for a major expansion. The expansion was approved by the Tahoe Regional Planning Agency (TARPA) in 2011, with construction set to begin in 2014. However there has been strong opposition from homeowners and people with environmental concerns. The Sierra Club and Friends of West Shore filed a lawsuit last year, challenging the environmental impact report filed by Homewood. Last week, U.S. District Judge William Shubb ruled that Placer County and TARPA improperly granted approval for the Homewood project. Shubb found the environmental impact report inadequate and misleading. The Homewood expansion plan called for 325 housing units, parking structure, new lifts, retail space, pool, and an ice rink. Increased traffic congestion is a major concern. Homewood will have to rethink their development and resubmit an environmental impact report.